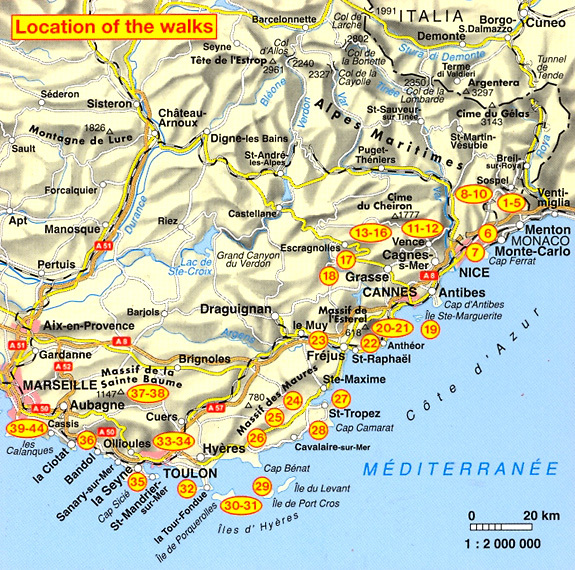 Rother’s Walking Guide to the Côte d'Azur covers 44 day and multiple-day excursions between Meton and Marseille. 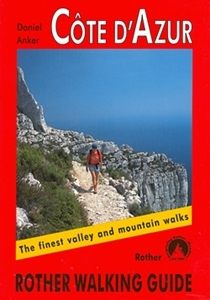 The guide includes tours that range from walks on the Îles de Lérins over beach hikes at St.Tropez to solid mountain tours in the Massiv de I'Estérel or the Lake Alps; the famous crossing of the Calanques and a long-distance tour in 15 stages from Menton to Marseille round off the tour suggestions. These are all complemented by hiking maps at 1:50,000, 1:75,000 and 1:100,000 scales and one overview map for planning. The guide takes care to choose paths away from the flows of tourism; all proposed tours can be reached by public transport, which was the author's exclusive means of transportation. The guide includes a wealth of information, stating the bus and train lines as well as telephone numbers of the respective points of arrival. All of this is supplemented by details on accommodation (with telephone numbers), tips on sites and possible tour combinations.